A new direct flight to the largest city in Texas has recently been added to the list of seasonal flights servicing flying into Durango. 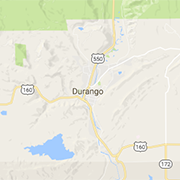 From June 6th to October 26th, the 370,000 annual travelers through Durango-La Plata County Airport (DRO) will have the opportunity to fly directly to and from the nation’s 15th busiest airport, George Bush Intercontinental/Houston Airport (IAH). These new flights added will not only expand options for Houstonians to visit Durango but also provide increased access to more connecting domestic and international cities as well. But it’s not all about Texas. United and American Airlines is also offering round-trip direct flights to and from Chicago's O'Hare International Airport (ORD) starting this June through October. The seasonal flights to and from Los Angeles (LAX) will be returning for the fourth consecutive summer, also beginning in June. So why create seasonal flights? The main idea is that by testing the profitability of the route through seasonal flights, DRO could see more flights to and from these markets year round. All three seasonal destinations are Saturday-only flights and run throughout the summer. Saturday is known to be the slowest day for travel and is also a non-business travel day. Because of this, airlines can pull a plane off its traditional route and send it to Durango to test the leisure air travel market. By utilizing seasonal leisure flights, DRO can show the airlines hard data of route profitability, which could, in turn, open the door to more frequent flights to the area. Why is this such a big win for the community? DRO now offers direct flights to and from each of our top six origin markets, meaning it’s easier for tourists to access our beloved town. One article explains that the number one way to increase tourism in an area is by allowing more air travel opportunities. The benefits of this potential increase in tourism go without saying and would help the community grow into new possibilities. Another article explains how an increase in tourism brings more jobs into the market, bringing Durango’s already below average unemployment number lower still. It’s no secret that Durango's tourism industry, now the single largest industry of the local economy, took a hit last summer due to the 416 Fire. A Fort Lewis College economics professor, Dr. Robert Sonora, wrote a paper about the expected results of the 416 Fire on the Durango community. In the paper, he explains that the Durango area has dodged a few tourism hits in the past from fires, but the reduced passenger volume experienced by the train during the 416 Fire and remainder of the 2018 summer season will produce lasting effects on our economy. While the statistics for the loss of tourism revenue have not yet been released, Dr. Sonora says, “we will not be able to fully capture the impacts of damage of the 416 fire to the economy for a year or so.” Until then, we can focus on how we can improve the years to come. These new seasonal destinations offer Durango the chance to bounce back and share our community with new visitors.